Make 3000 watts of continuous AC power available anywhere you go! 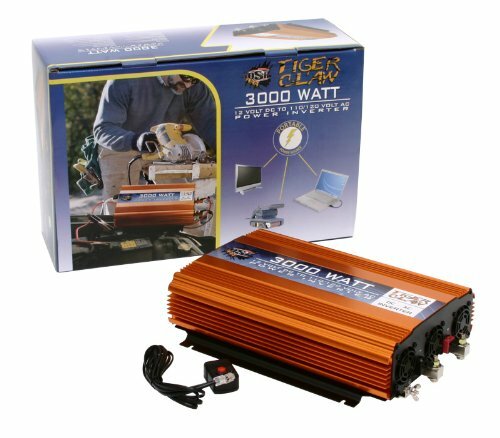 Connect the Tiger Claw to your vehicle battery and you've got 110 volts available at common household type built-in receptacles. Check out the table below to see what types of products you can use with this power inverter. If you have any questions about this product by OSP, contact us by completing and submitting the form below. If you are looking for a specif part number, please include it with your message.